As I sat last night binge watching the Mindy Project waiting for 9pm to roll around I contemplated what I was about to do. It was Thursday night and usually by 8pm on a Thursday night I am in comfy clothes on the couch in for another marathon of a TV show that I find too funny to admit. But tonight would be different. See Jack In the Box’s new summer menu was about to drop at 9pm and I was ready to give it a try. 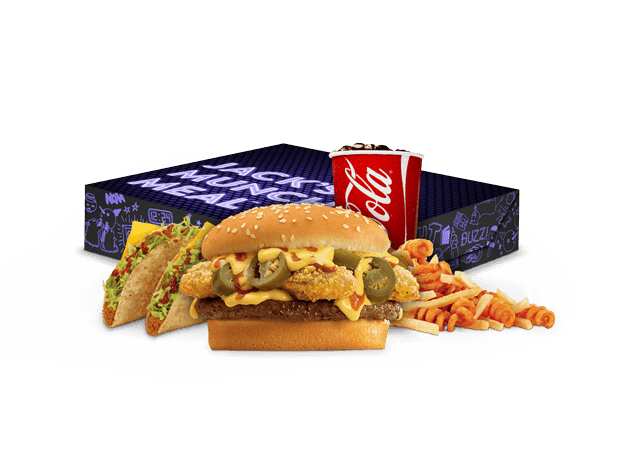 Jack in the Box menu consists of two new Ultimate Cheese Burgers, Two Fruit Coolers, and a new addition to their Munchie Meal; the Hella-Peño burger meal. Note: you can only get the Munchie Meal from 9pm to 5am, fitting for the name. In order to be able to last through all this food I took my cousin along. At 9:12pm we jumped into the car and drove approximately a quarter mile to the closest Jack in the Box to pick up the goods. We started with the Hella-Peño Munchie Meal, complete with a Mango Fruit Cooler. Jack in the Box has taken the fast food burger to a whole new level with their new Hella-Peño burger. So much so that I feel like they need to develop a new name for burger, I mean all the other fast food burger joints did it you have the Whopper, McDouble, Quarter Pounder, Doubles, Triples and so on. This new Hella-Peño burger was so much more than just a burger. Let’s start with the description provided about what’s included: “It starts with a cheeseburger topped with both sliced jalapeños and cheese-filled jalapeño poppers, all topped off with a cheesy taco sauce for an ultimate hella-hot kick of flavor.” Ok so I already know I’m in for something a little wild here I mean a normal cheeseburger topped with more cheesy taco sauce I know it’s going to practically ooze with cheese, then there’s the jalapeños and the cheese-filled jalapeño poppers. Take that in for a moment jalapeño poppers… on a burger. When we first opened the munchie meal it was surprising to see how little the Hella-Peño burger looked all wrapped up, I pondered how they fit all that jalapeno cheese popper goodness into one small package. But after unwrapping the burger it was obvious that the serving box, complete with 2 tacos and two types of fries masked the size of the burger. It was massive. It looked like it was smiling with these big jalapeño popper teeth. The first bite into it was a jumble of jalapeno flavor and cheese, there was almost no reason to put a burger on it because you couldn’t actually taste any burger. There was so much going on with this burger but in a new and exciting way. The star of the show was the jalapeño popper and the cheese. Honestly I would enjoy the poppers on the side with a jalapeño burger so I ended up picking them off. It was a mouth full that’s for sure, a cheesy, spicy mouthful. All in all it was innovative and new so we gave this burger a four out of five. We also got a Mango Fruit Twister. It’s basically a lemon lime soda with some fruit puree mixed in. As it sat the fruit puree settled to the bottom so when my cousin tried it, he was hit with straight up mango flavor. So it didn’t win him over. 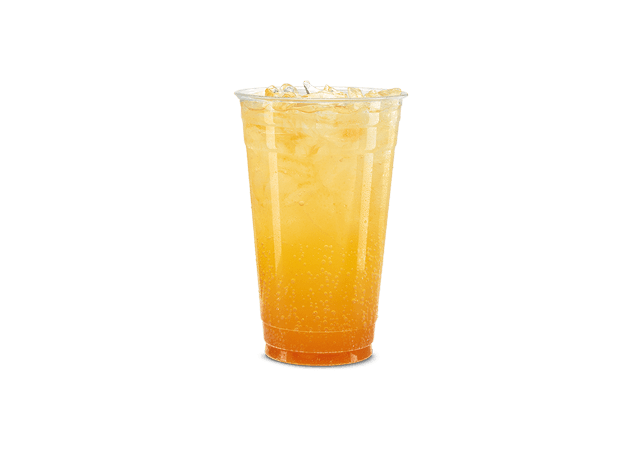 However when I tried it I stirred it up first and although it was sweet it was refreshing and I could see how on a hot summer day it would be nice. It came in a small cup which was good because I can only handle so much of something sweet. This drink gets a four and a half out of five. 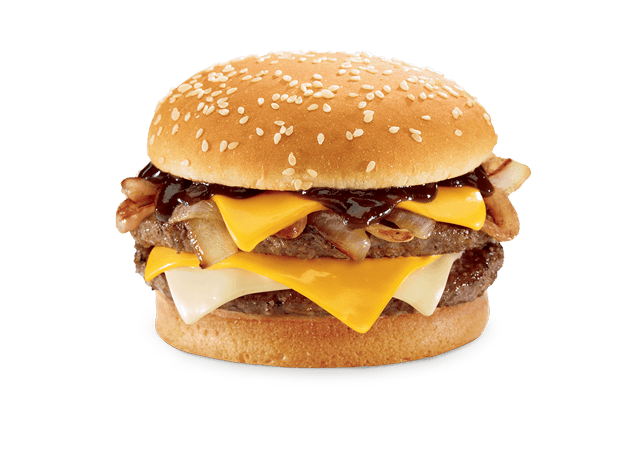 Up next was the BBQ Ultimate Cheeseburger which is composed of two beef patties, american cheese, swiss style cheese, BBQ sauce and caramelized onions. I was excited for this one because I am a big BBQ fan, I think putting BBQ sauce on practically anything will make it taste better. The first bite had three distinct flavors first meat, then a strong hit of BBQ sauce, finished up with a creamy gooey cheese taste/texture combo. It wasn’t a tangy BBQ sauce, it was a sweet sauce which was a little disappointing. The onion flavor was missing on the first bite but after a couple more it was there and a nice complement. The highlight of this burger was that the two beef patties allowed there to still be a meat flavor as compared to the hella-peño burger where it was questionable if there even was a beef patty on their at all. Since I’m a sucker for BBQ sauce it earned a four out of five. The final burger was the Jalapeno Ranch Ultimate Cheeseburger. 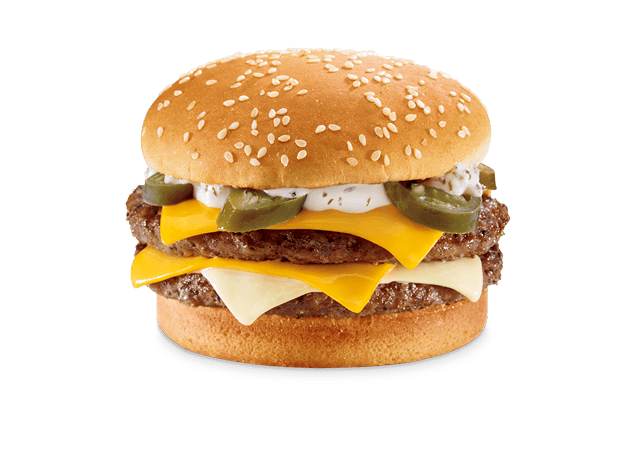 This one is topped with two beef patties, american cheese, swiss style cheese, sliced jalapenos and ranch. I wasn’t so sure about this one, ranch and jalapenos just don’t seem like they go together very well. But the idea of a creamy sauce on a spicy jalapeno sandwich was promising. So in we dove and it was just ok, initially. The pickled flavor of the jalapenos was met nicely with the soothing flavor of the creamy ranch which together still let the burger and cheese have their moments of flavor sensation. It only got better as we ate more, the more we ate the more we liked it. Jack In the Box did good with this one, they weren’t overly ambitious with the toppings and the burger stayed together nicely as we ate. It was a good switch up to the normal burger, one that I could see adding to a regular fast food line up. For that the Jalapeno Ranch Ultimate Cheeseburger gets a four and a half out of five. Overall Jack in The Box’s new summer menu is innovative and interesting. In my opinion the star of the show is the Jalapeno Ranch Ultimate Cheeseburger. That is unless it’s past 9pm and you’re craving jalapeno poppers, go for the big daddy, the Hella-Peño Munchie Meal, the Munchie Meal is definitely the best bang for your buck. For now I’m going to avoid anything overly spicy and covered in cheese, you know just to recover. If you do give any of these new items a try, let us know what you think in the comments below! Check Out Jack in The Box’s Secret Menu! DISCLAIMER: Jack in the Box corporate headquarters provided gift cards for this review.